Tropical Cyclone Keni forced local shipping companies to cancel their movements. This followed weather forecast by the Nadi -based Fiji Meteorological Service that TC Keni would past through the Fiji waters yesterday. Maritime Safety Authority of Fiji (MASF) chief executive officer John Tunidau said marine clearances for all ships would cease until further notice except if emergency evacua­tion runs were necessary. “Large ship owners must provide all necessary support to masters of their ships and exercise good judge­ment to ensure that vessels are kept safe during the passing of the tropi­cal cyclone,” Mr Tunidau said. “Small boat owners are advised to take all precautionary measures to ensure their vessels are safe,” he said. Patterson Shipping Services gen­eral manager David Patterson said trips scheduled to leave Natovi jetty have been cancelled due to adverse weather condition. “Our Labasa-Suva-Labasa trip has been cancelled,” Mr Patterson said. Victoria Marine resource manager Akuila Kaci said MV Brianna will take shelter at Draunibota, Lami. “As part of the company policy, with the cyclone expected to pass Ono-i- Lau yesterday, MV Brianna is re­scheduling and is taking shelter at Draunibota in Lami,” Mr Kaci said. “We have cancelled our trip to Ono-i-Lau,” he said. Meanwhile Fiji Ports Corporation Limited (FPCL) had all vessels and cargo operations stop work from 6pm Monday. All port users were advised to abide by the standard precautionary meas­ures . This included having all vessels moored to FPCL buoys cleared. Safety precaution measures had all vessel clearing safely berthing at located positions. (Foreign fishing vessels requesting Draunibota an­chorages were assisted by the pilots, pilot boats and tugs). Agents were advised to alert their vessel/ship owners to keep a swing­ing circle of two cables whilst at an­chorage. 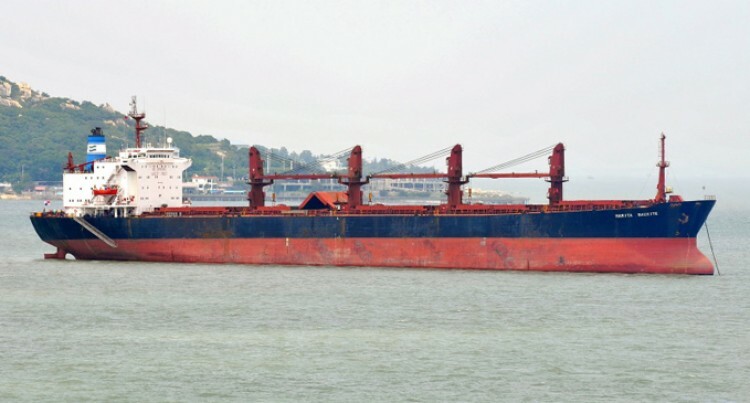 Vessels and crew members’ safety are the responsibility of vessel mas­ters and owners. FPCL made sure container vessels, clinkers etc. were moved outside the harbour. Shipping and fishing agents whose vessels were scheduled to arrive within the next 24 to 48 hours were informed to advise their respective vessels of the TC Keni alert.